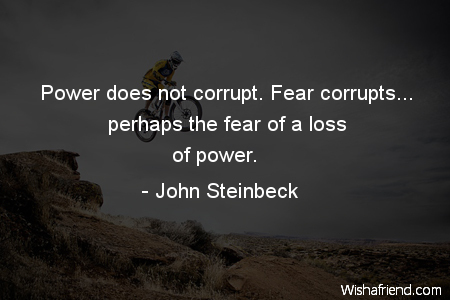 John Steinbeck Quote: Power does not corrupt. Fear corrupts... perhaps the fear of a loss of power. Browse our collection of Fear quotes and sayings. Share Fear quotes with friends and family.